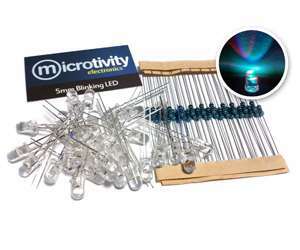 30x 5mm rotating LEDs in clear casing. Impressive RGB colors rotating in a slow pattern. Comes with 30 200-ohm for making connections. 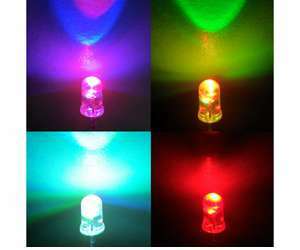 Just connect these light emitting diodes and they will show an impressive, fast-rotating color pattern. Forward voltage is 3.0-3.6 volts. Comes with 30 200-ohm resistors.